The Morgana Crochet Shawl is a spectacularly fun and festive use of color work and lace in a crochet shawl. You can make this gorgeous shawl in one color or use a trio of colors for extra fun. This top down construction hexagon-shaped shawl moves quickly with an easy to memorize stitch pattern. The color sequence and ornate edging are simple to learn and add a lot of dramatic flair. I created this free pattern in conjunction with my Wrapture delicate wash from Eucalan, and you can get the free pattern by signing up for their newsletter here. You'll receive the pattern within 5 minutes, give or take. If you are already a Eucalan newsletter subscriber, then you should be receiving your copy of the pattern really soon! The pattern includes line by line written instructions, charts and a 4-part video tutorial! In the first video, learn how to read the pattern. 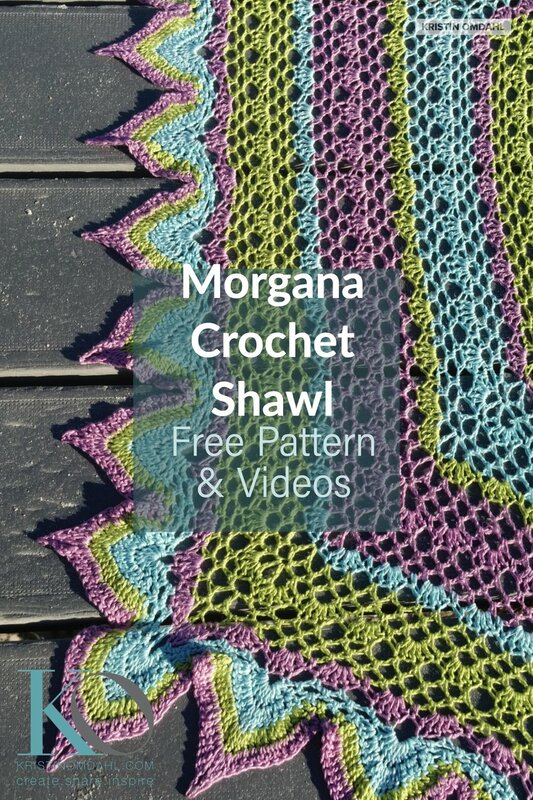 In the second video, learn the 4 repeating row pattern for the shawl. In the third video, learn how to make the ornate edging. And in the fourth video, learn professional tip and tricks for weave in loose ends and blocking this beautiful shawl to all of its glory with Wrapture all natural delicate wash.
Click on image to be directed to downloading the pattern. 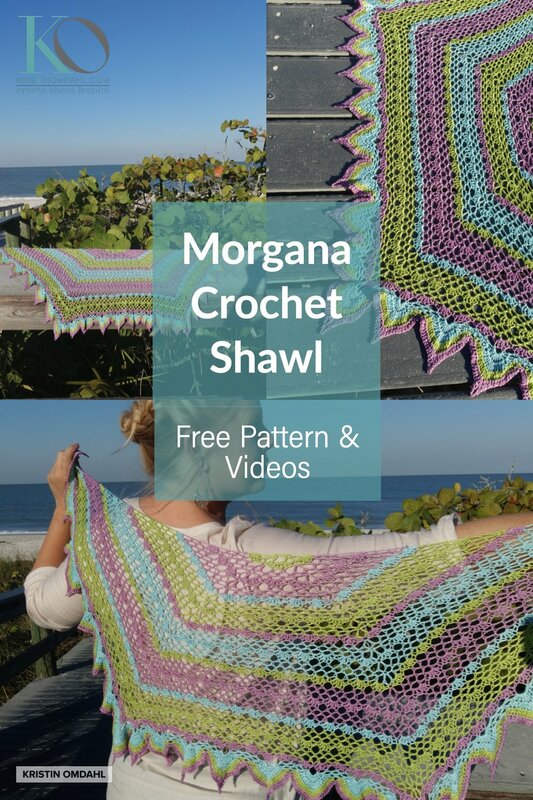 Included in the playlist you will find the 4 part video tutorial for the shawl, and the stitch library videos for every crochet stitch used in the pattern for this shawl. TIDBIT TRIO kit Be So Fine by Kristin Omdahl Yarns; 100% bamboo; 215 yds (196m) per 1.3oz (36gm) ball.